Below you will find some screen shots of the main platforms of the software although the software is far too big to show you all the platforms. The Tong Shu Daily Planner can help you plan so much in your life from life changing decisions such as a big business deal right down to the most simple things such as planting shrubs in your garden. You can adjust the time, day, month and year so that you can find out if it is a good day to plan an important trip or for a driving test at any given time in the future. Check monthly, annual and yearly afflictions in advance. Shows house Trigram and group. Auspicious combinations marked in yellow, inauspicious in red for easy reference. The Tong Shu weekly planner gives you a quick overview of the week ahead, although you can toggle weeks, months or years ahead. On the side of the screen you can click on the day icon next to the day you would like more detail about and it will take you to the more in-depth daily Tong Shu. This is much like the weekly Tong Shu but is broken down into a monthly calendar to show the good and bad days for your personal selected date. Again this is only an overview of the month. The Chinese animal forecast explains all the Chinese animals’ good and bad days throughout the selected month and informs you by having a happy, average or sad face. This is great if you are planning for events for more than one person in a family or business as it gives an outline in an instant as to good and bad days generally for anyone. This is actually a very small part of date selection yet many books and also Practitioners base their date selection methods just on this simple system alone. I love this part of the software and in this section you can create your own personal goals/wish list then review them or even mark them as completed or abandoned, this way your list of goals will be a lot easier to understand and complete. When creating a new goal after the title a creation time and date is saved automatically, you can then write a description about your goal and pick a goal type by selecting either life changing or short term. You can even set a start and target date and set a reminder so that you can be warned as to when one of your goals is close to target time. One part I really like is the fact that if you were setting a goal like “I want a new Ferrari by 2009” you input these details but you can also load and store a picture of the goal you wish to achieve so a quick look through Google and download the image of your dreams. Our view on life is whatever you put out to the universe comes back to you based on the law of attraction, so with this in mind we have developed this part of the software along manifestation and goal and wish list planning. 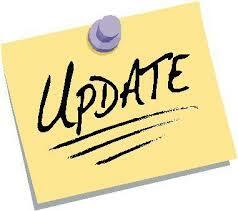 View all of your completed tasks so that you can review your old tasks. On this software you can now create your own unique and auspicious lottery/gambling numbers using an ancient secret complex arithmetical code that is little known in our western world. We already have great feedback on this with some good wins. The prosperity planner cheque is an amazing formula based around your personal date of birth and Sheng chi lucky numbers and adds them to your very own personal printable cheque. 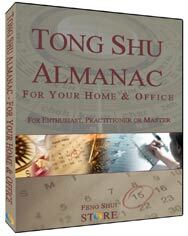 The to do list was added to the Tong Shu Almanac software to help you base your life around the almanac and keep up to date with all the tasks you need to complete. The to do list can give you reminders when any number of tasks may be coming up to completion date so that you will never forget a task has to be completed. The Status field is a colour coded system to let you know how close to vital your task is. If the to-do item has been marked as completed, the status shows green. If the to-do item is not complete, the status shows anything from deep blue to deep red, depending on the priority. The great part of this to-do-list is you create your own categories so like me in my business I have created categories like, write consultation reports, select auspicious dates etc, so if you want email, fax, telephone, shopping catagories it is up to you. You can create your own Microsoft outlook folder through the almanac software where you save your clients. You can make diary entries private. When you load up the Tong Shu Almanac Software you are greeted with a welcome screen filled with lots of images and text explaining all the features available on the software, this is to ensure you get the most out of this extremely valuable software. 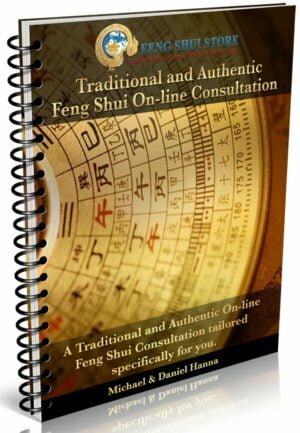 There is a live news feed section which automatically updates all the latest news from the Feng Shui store onto this page.